As well as being experts at what they do our gardening team in Holland Park also offer an exceptional gardening service at all times. Arriving on time and in a liveried van, our uniformed gardeners in Holland Park will never let you down. Acting in a professional manner, our friendly garden maintenance team will work quickly and quietly to turn your garden around and will never behave in a manner which is inappropriate or underhand. So if you want a reliable gardening team in the W11 area, call London Gardeners on 020 8434 7256 for a gardening quote today. Do you ever wonder how your neighbours keep on top of their gardening tasks? Well we think that you would be surprised by the number of people who make use of our gardening services in Holland Park. Flexible and cost-effective, our W11 garden maintenance packages are the obvious answer if you’re struggling with your garden. Available to carry out all sorts of tasks, our gardening experts can sort everything from your grass cutting to your garden design all around the Holland Park region. So if you want to update or just tidy up your garden we are sure to be able to help. 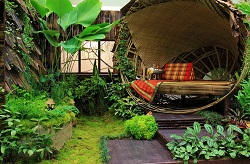 Some people have no interest in any aspect of their garden and see any sort of garden maintenance as a complete and utter chore. Even if they have plenty of time on their hands, gardening is not on their day-to-day to-do list and will never play a big part in their home. If this sounds familiar, then our affordable gardening services we provide across Holland Park may be of some interest and could help you to make good use of your garden space. Taking care of all of your garden tidy ups and ongoing maintenance requirements, our gardening experts in W11 can help put the life back into your outside space. If you have large trees in your garden that are blocking the sun or looking a little less than their best, then why not call our Holland Park gardening experts for some advice. Our gardening professionals that serve all around the W11 area are fully-trained and can help you trim, shape and fell unwanted trees without any delay. With an emergency gardening team on standby, our reliable gardening firm can also help you to take care of any dangerous or fallen trees quickly and efficiently. With an excellent track record, you are guaranteed to receive a speedy and reliable service from our experienced team of gardeners. 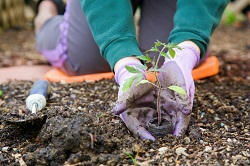 Shaping bushes and trees is also an essential part of your overall garden design. As not only can skilled hedge trimming and pruning make your bushes grow back healthier but it can also give your Holland Park garden a five-star designer style. So if you want neatly pruned hedges, perfect swirls or just natural but healthy trees, our trimming and hedging team in W11 could be just what you need. Using only the best gardening equipment, our garden maintenance team can guarantee that your perennials will be left in an excellent condition and that your garden will be left looking pristine.